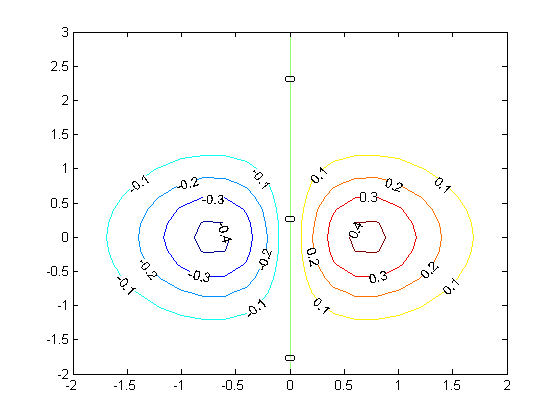 This post continues a series of posts on interacting with Matlab graphs. In Post 1484 we saw an example of customizing a datatip. The limitation of that approach was that you can only click on data points in your graph. Today we examine a way to get similar functionality by defining a function that is run everytime you click on a graph. we can define a function that does something when we click on the graph. We will have the function set the title of the graph to the coordinates of the point we clicked on, and we will print something different depending on which button was pressed. We also want to leave some evidence of where we clicked so it is easy to see. We will put a red plus sign at the point we clicked on. this function will be called for every mouseclick in the axes. case 'normal' % Click left mouse button. case 'alt'    % Control - click left mouse button or click right mouse button. case 'extend' % Shift - click left mouse button or click both left and right mouse buttons. case 'open'   % Double-click any mouse button. % case that is the line in the axes. Now, click away and watch the title change!